Designing and developing bespoke maintenance solutions for hearing aids, all over the world. We make things easier for hearing aid manufacturers and brands by providing bespoke solutions and customized support. We are a people-focused international company. We design, develop, manufacture and deliver bespoke maintenance solutions for hearing aids, all over the world. Customer satisfaction is our eternal priority. As demanding individuals who are here to help, we are committed to using our expertise to serve each and every one of you. As such, we always consider your constraints and applicable laws and regulations as we work. Whatever your request, we respond promptly, tailoring our response to provide a creative solution without ever compromising on design or quality. We’re not content to simply address today’s needs. We have continued to hone our processes over the years to improve our products and create new ones, offering customized solutions for you and your customers that are more efficient and simpler to use for truly customer-centric innovation. Innovation drives us. 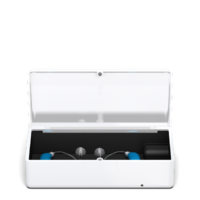 We constantly anticipate market needs by developing new products that are tailored to the market’s current hearing aids and those of the future. We develop strong and close relationships with all our customers. We support them and are here to respond to their requirements. As a creative, responsive company, we are and will always be here to help. We are as exacting in terms of quality (ISO 13485 certification) as we are in terms of the design and aesthetic appeal of the solutions we develop. We work constantly to improve all our business processes. Our response to every request is different because every request is unique. No matter where a company is based, we always consider its constraints in terms of the country’s current laws and regulations. We customize products and we design specific solutions, based on our customers’ requirements. Years of expertise ensure that we are ready and responsive in all circumstances, without ever compromising on quality. We respond quickly to all product design requests and strive to meet production and delivery deadlines around the world. 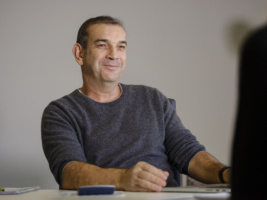 After 15 years working on the production of cosmetics for health and beauty brands, and having developed particular expertise in packaging design, José Gil founded MG Développement. MG Développement is committed to ensuring the quality and traceability of its products for both its customers and users. Over the years, the company has continued to focus on quality. In 2012, MG Développement was awarded ISO 13485 certification. After developing at a national level, MG Développement began to expand within Europe: Germany, Switzerland, Holland and more. The first classical PerfectDry device was created. A global patent was filed. 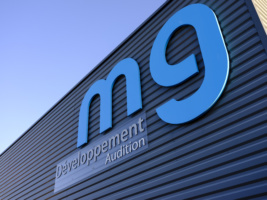 In 2013, MG Développement opened its first subsidiary in the United States. In 2016, a new subsidiary was created in Asia. We work with the global market’s major players. With our international presence (France, Pittsburgh as part of the American market and Singapore as part of the Asian Pacific market), we can meet our customers’ needs in more than 40 countries in Europe, the United States, South America and Asia.